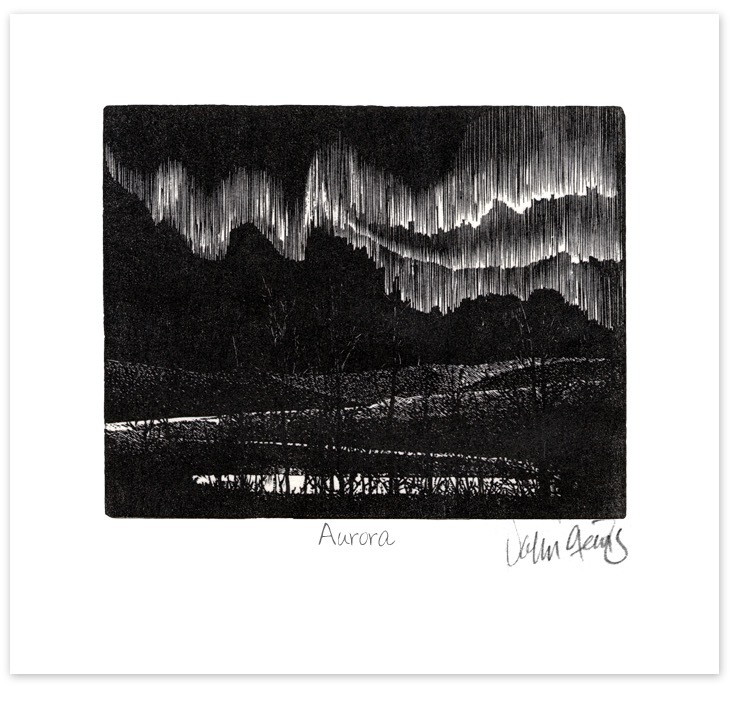 How to represent the aurora in a wood engraving with black, white and greys? This is my attempt, hope to give it another go sometime soon. I like it, it works very well .. it is a very tricky subject for engraving but well done. I like the composition, you really get an idea of the scale of the Aurora by adding the trees and landscape in the foreground. Look forward to seeing other attempts at this subject. Irene thanks for your thoughts. I really appreciate the feedback. Yes, it definitely helps to have included the foreground shrubbery, etc. Otherwise, the sense of scale would be lost.